What Does the Barometer Do? Barometric pressure is the measure of air pressure in a given area. Air pressure is the weight of air pressing down on the oceans, land and surface of the earth and is measured with a barometer. These measurements are affected by air density, which changes based on temperature, and height above the Earth's surface. 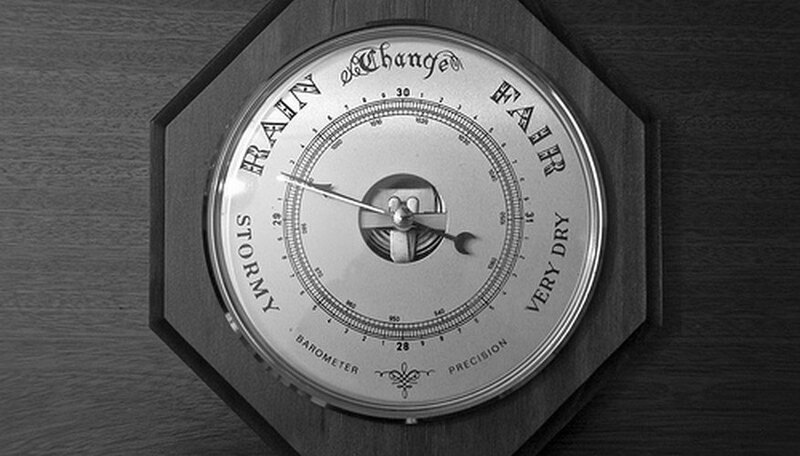 By understanding changes in barometric pressure and what those changes mean, it's possible to predict changes in weather and weather patterns. Obtain a pressure reading using a barometer, collect the pressure reading on a weather web site or find a weather map that shows areas of high and low pressure. Find the exact pressure reading in millibars if possible. Millibars are the measurement of the weight of the atmosphere at a particular location. According to USA Today assistant weather editor Bob Swanson, a standard pressure at sea level is 1013.2 millibars. Determine whether the pressure is high or low for an area. As air rises, it cools, which according to meteorologists with USA Today, "The humidity in it begins to condense into tiny drops of water, or if it's cold enough, into tiny ice crystals. If there's enough water or ice, rain or snow begin to fall." Low pressure is associated with bad weather and high pressure with fair weather. Note the wind speed, as this can also be affected by pressure changes because air moves from high to low pressure areas. Document the changes in pressure over time and the weather outside and you will be able to more clearly understand how pressure changes can affect and correspond to weather. Barometric pressure on a mercury barometer is measured in inches of mercury. On average, sea level pressure supports about 30 inches of mercury. Green, David. 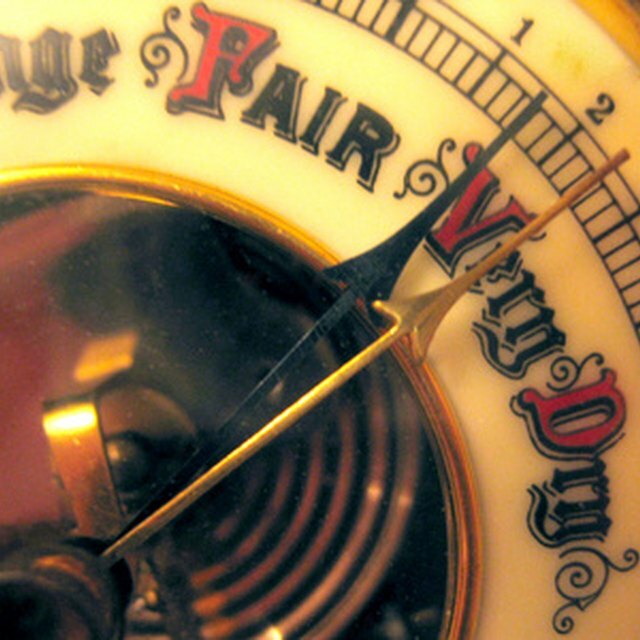 "How to Understand Barometric Pressure Readings." Sciencing, https://sciencing.com/understand-barometric-pressure-readings-5397464.html. 24 April 2017. What Is the Range of Barometric Pressure?